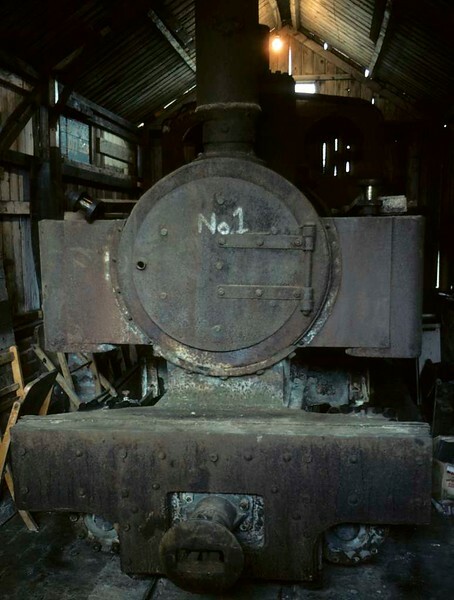 No 1 [Joffre], Becconsall shed, 1 August 1976 The 0-6-0T is one of 70 600mm gauge locos built for the French artillery in World War I by Kerr Stuart (2405 / 1915). (Joffre was the French C in C 1914-1916.) Five survived at a quarry near Calais; all have been repatriated. 2405 came to Lancashire in 1974, and restoration began in 1995. Photo by Les Tindall.